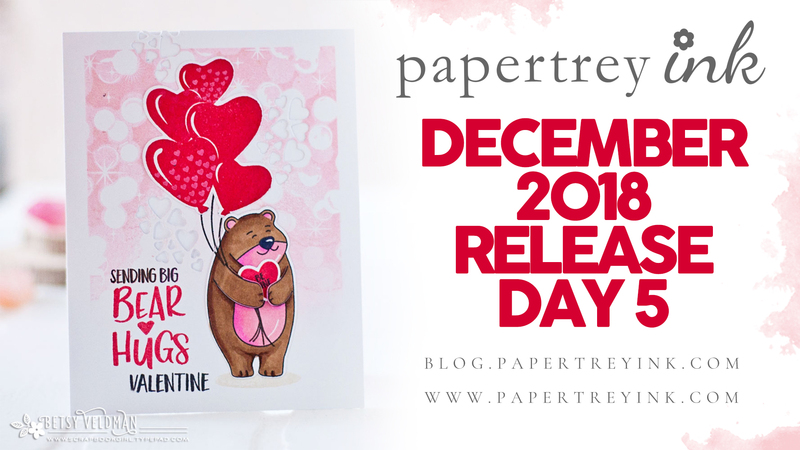 Papertrey Ink is offering a wonderful customer incentive this month, a little holiday gift that everyone can enjoy since birthdays are one of the top occasions to create and send cards. 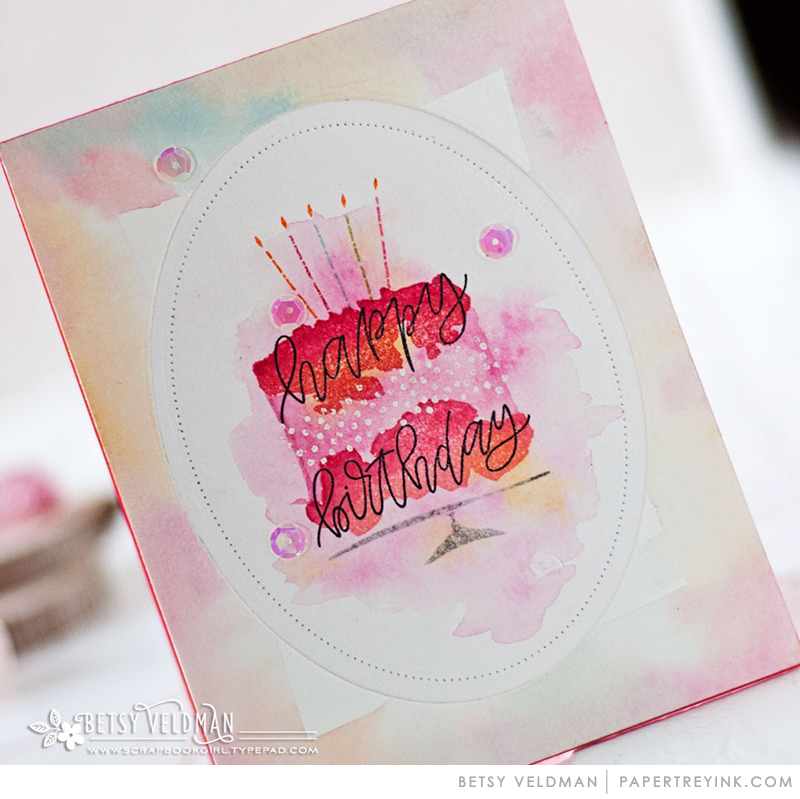 Your Beautiful Birthday (a $5 value) will be available for customers as a FREE bonus with qualifying orders placed 10pm ET, December 15th while supplies last. To qualify for the set, the order total needs to equal $80 or more before shipping and without Rewards Points discounts. 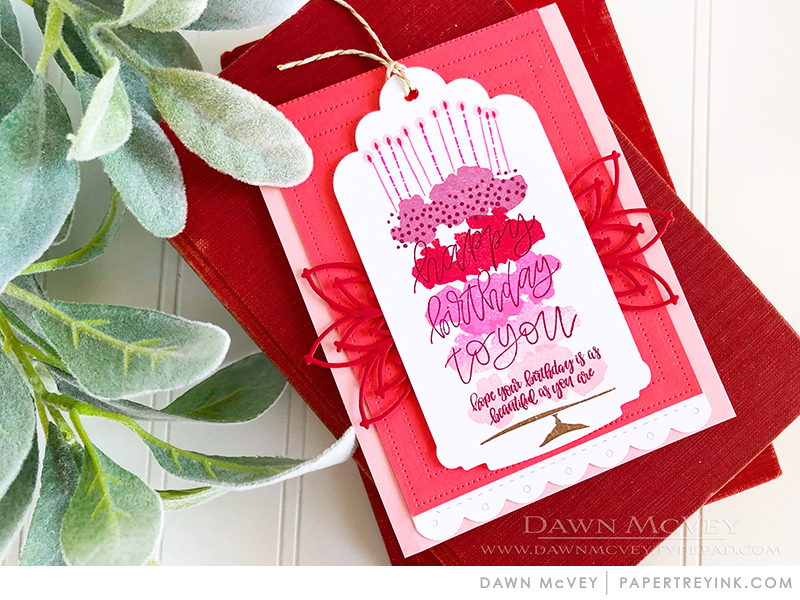 Your Beautiful Birthday is an exclusive, limited edition set that will never be available for purchase, so be sure to make a qualifying order to get yours while they are available during this special holiday promotional period! This set will automatically be added to packages with qualifying orders, so there is no need to add it to your cart at check out. I love this set! Great job on the freebie! Thank you for all the wonderful products this year! Merry Christmas and Happy New Year! Love this cake! Perfect for birthday cards I make for my church! Love Jennifer’s style! So modern and pretty. Thank you for this awesome freebie, PTI! Love it! Thank you! This is a wonderful design that I would have chosen to buy. This is a very pretty stamp, and I too, would have bought it if it were being sold. 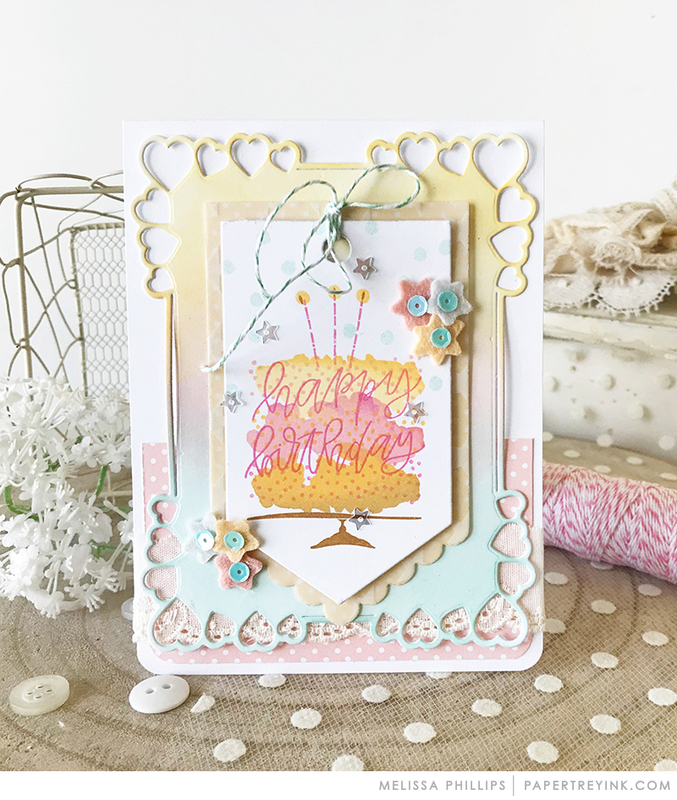 Love what the DT hass creatied with this lovely freebie! Oh my goodness what an adorable and exciting birthday stamp set. 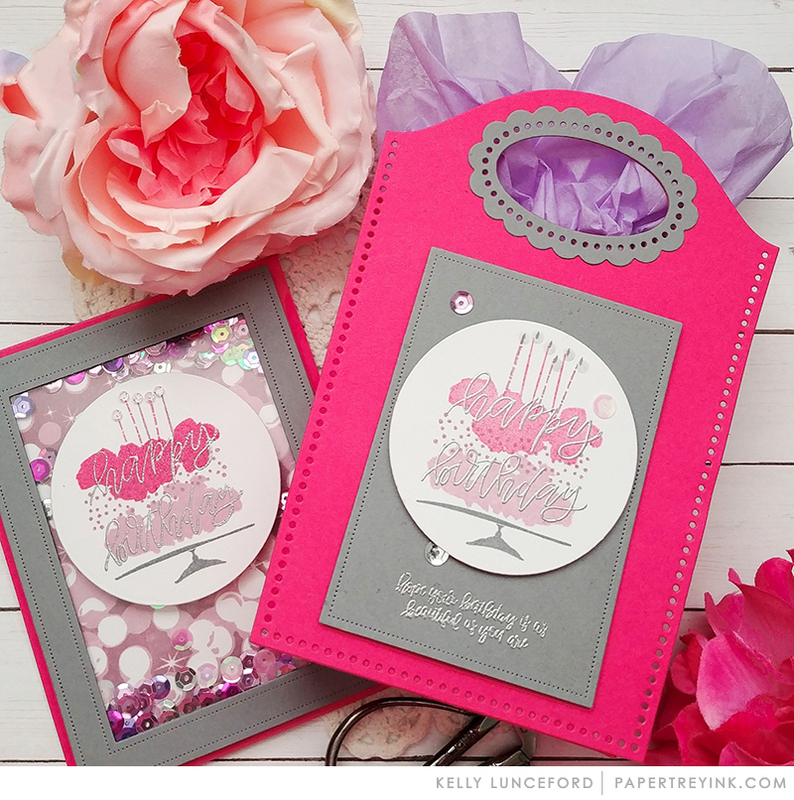 The cards made using this ‘freebie’ incentive set are gorgeous. 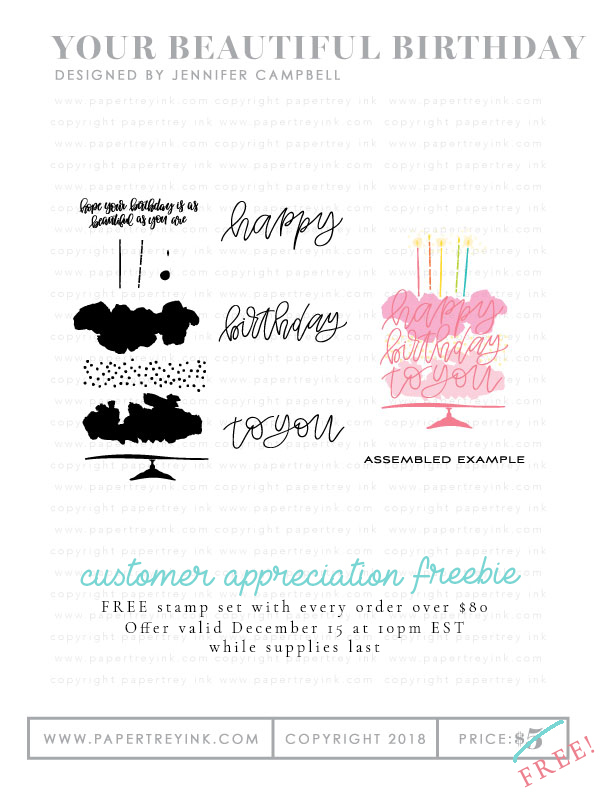 Beautiful freebie stamp set. I love the gorgeous samples made using it. I agree with the other comments, I would have bought this set too. Thank you PTI!!! 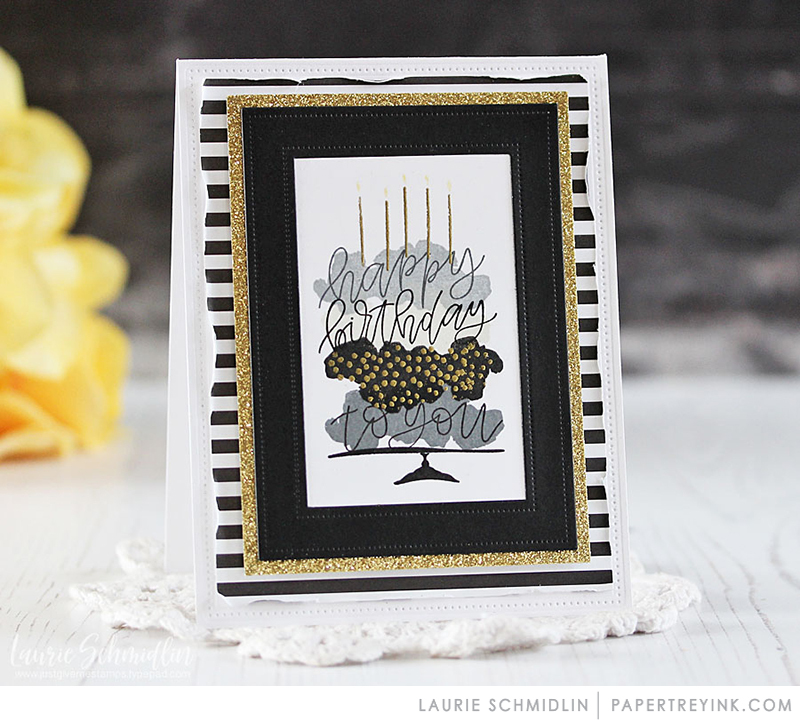 What a cute, versatile set…LOVE IT! Thank you to everyone at PTI for the cute gift set. I now I will use it often as it is so adorable! So cute – thanks so much for the freebie. Lovely stamp. How do we know if it is still available if an order is placed now?